Some legal practitioners have opined that the decision Supreme Court in SC/175/2005-Heritage Bank Ltd v. Bentworth Finance (Nigeria) Limited delivered on the 23rd of February 2018 is clear deviation and implicit overruling of its earlier position on the implication of a court process signed by a law firm. Most of the commentators have argued that the position of the law as established through a long line of cases interpreting section 2 and Section 24 of the Legal Practitioners Act, is that a court process signed other than by a legal practitioner whose name appears on the Roll of legal practitioners registered with the Supreme Court, is a nullity. This write-up seeks to clarify the decision in the Heritage Bank Case with consideration given to the position of the courts on the proper person to sign court processes under Section 2 and 24 of the Legal Practitioners Act and the implication on proceedings arising thereupon. Prior to the decision of the apex court in the Heritage Bank Case (Supra) there have been a plethora of decided cases on the implication of signing court processes by a law firm. The most popular Nigerian case on this issue being the case Okafor V. Nweke (2007) 10 NWLR Pt 1043 at 521 where the Applicants filed a motion before Supreme Court praying inter alia for; An order for extension of time within which to apply for Leave to (Cross) Appeal; Leave to (Cross) Appeal; Extension of time within which to file the applicants Notice and Grounds in the said (Cross) Appeal; and An order deeming the said Notice and Grounds of Appeal properly filed and served. The Applicant’s motion seeking the above orders was signed by “J.H.C. Okolo, SAN & Co” as was the Notice of Cross Appeal and the brief of argument in support of the motion. The Respondents filed a Counter Affidavit in opposition to the application and in its brief of argument raised the issue “Whether the Notice of Motion, Notice of (Cross) Appeal and the Applicants' Brief of Argument for extension of time in this application are null and void." The Learned Senior Advocate (Counsel to the Respondents) referred the Supreme Court to Section 74(1) of the Evidence Act, Cap 112, Laws of the Federation of Nigeria, 1990 and submitted that by virtue of that provision the Court was enjoined to take judicial notice of all legal practitioners authorized by law to appear or act before it and further submitted that "J.H.C. Okolo SAN & Co" was not a legal practitioner authorized by law to appear or act before the Supreme Court of Nigeria. In support of his argument the Learned Senior Counsel referring to and relying on Sections 2(1) and 24 of the Legal Practitioners Act, cap 207, Laws of the Federation of Nigeria, 1990, submitted that the law firm, "J.H.C. Okolo SAN & Co" not being a person whose name is on the Roll of Legal Practitioners in Nigeria was not entitled to sign or issue the Notice of Motion, Notice of (Cross) Appeal and Applicants' Brief of Argument for Extension of Time in the application and that the said documents as signed and issued by the firm were null and void relying on the Court of Appeal decision in New Nigerian Bank Plc vs Dendag Ltd (2005) 4 NWLR(pt. 916) 549 at 573. In response, the Applicant contended that a casual look at the documents confirmed that each of them was signed by the party issuing same as the counsel in the proceeding, that Respondent was not challenging the signature as being that of a legal practitioner and the import of Sections 2(1) and 24 of the Legal Practitioners Act merely required a legal practitioner representing a party in any proceeding to sign any court process. It further argued that since it was not in contention whether the process had been signed by a legal practitioner, all that was required was to call oral evidence to ascertain the legal practitioner that signed it. The learned counsel for the Applicant further argued that a signature on any document is the attribute that authenticates the document and the documents under consideration where duly signed by "J.H.C. 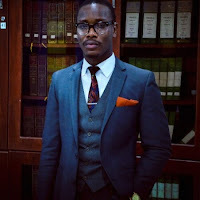 Okolo (SAN)” a registered Legal Practitioner shown on the Rolls of the Supreme Court as No 1265 and on the Rolls of Senior Advocates of Nigeria as No 76. The Applicant stated that the addition of the words "& CO" not in the signature authenticating the process but in the further description of that known identity is a mere surplusage which cannot take the place or displace the signature. Interestingly, after the Respondents raised the above issues, the Applicant’s reply brief in response to the issues was signed by J.H.C. Okolo SAN and not J.H.C. Okolo SAN & Co, almost a clear admission that its former position was defective and an attempt at administering the medicine after death. By the decision in Okafor’s case a court process signed by a person other than a legal practitioner is incompetent and must be struck out. It was the contention of the Appellant that the judgement of the Court below was incompetent because it was predicated upon an incompetent Notice of Appeal, and so, as held in Macfoy v. UAC (1962) AC 152, “there was nothing upon which the judgement of the lower court could be predicated, and every judgement founded on such Notice of Appeal is a nullity”. The Appellant submitted that a defective Notice of Appeal is non-existent in the eyes of the law, therefore, the appeal is incompetent. It argued that the defect of the Notice of Appeal being the signing of the notice by the law firm instead of a legal practitioner as required under Section 2(1) and Section 24 of the LPA. The Appellant cited several earlier decided cases on this point for the consideration of the court. The Respondent in its reply did not address this issue. “…the originating process in all appeals is the Notice of Appeal. Once it is found to be defective the Court of Appeal ceases to have jurisdiction to entertain an appeal in whatever form”. “As it is well known, it is a notice of appeal that initiates an appeal from a High Court to the lower Court-Put differently, the notice (actually a competent notice of appeal) is the foundational process that triggers off an appeal from the High Court to the lower Court (Court of Appeal)..As such any virus in this process would, invariably, corrode or taint the entire appeal thereby rendering it incompetent. The effect of such viral corrosion is, usually, far-reaching as it nibbles at the jurisdiction of the appeal Court which must, as of necessity, strike out such a process. In effect, the absence of a competent Notice of Appeal, simply, translates to the non-existence of an appeal... This must be so for it is a condition precedent to any valid exercise of the appellate jurisdiction. In the above cases of Igbinedion & Ors v. Umoh Asuquo (supra), Iwunze v, FRN (supra) and FRN v. Dairo (supra) the Supreme Court while maintaining the position in Okafor’s case that a law firm “cannot legally sign and/or file any court process in the courts”, and such process signed by a law firm is “incompetent in law”, the apex court went further to state succinctly that when the court process which is struck out as incompetent due to defective signing is a process which initiates the proceedings then the entire proceedings is a nullity, the foundation of the proceedings having been struck out. The apex court in the three cases considered whether the defective process was of such nature that robbed the court of jurisdiction in the entire proceedings and on this point concluded that because the defective court processes where originating processes; having been declared incompetent, there was nothing on which the entire proceedings of the court could rest. The defect in the originating process therefore meant that there was no valid process upon which the court could assume jurisdiction. The decision above decision struck out the statement of claim alone relying on the authority of Okafor v. Nweke. This posture to the issue has however been reconsidered by the apex court in the recent Heritage Bank’s case and distinguished from the established principles having the applicability in Okafor v. Nweke and the consequences to jurisdiction of the court. In Suit No: SC.175/2005-Heritage Bank Limited v. Bentworth Finance (Nigeria) Limited, decided by the Supreme Court on the 23rd day of February 2018, the Respondent had at the trial court filed a Statement of Claim on 19th of September 1990 signed and settled by “Beatrice Fisher & Co.”. The Appellant did not raise any objection on this defect at the trial court nor at the court of appeal but raised it as an issue of jurisdiction at the Supreme Court. It was the contention of the Appellant that the Statement of Claim filed by the Respondent on 19th September 1990 signed or settled by “Beatrice Fisher & Co.” a person whose name is not on the Roll of Legal Practitioners registered in the Supreme Court and licensed to practice law in Nigeria was defective and incompetent. Consequently, it was submitted by the Appellant’s Counsel that the defective process did rob the trial court and the Court of Appeal of their jurisdiction. The Appellant cited Section 2(1) and Section 24 of the Legal Practitioners Act , LFN 1990 and the several decisions of the Supreme Court on the issue including Okafor v. Nweke (2007) 10 NWLR Pt 1375 at 513, Brathwaite v. Skye Bank Plc (2013) 5 NWLR Pt. 1346 1, Oketade v. Adewunmi (2010) 8 NWLR Pt. 1195 at 63, SLB Consortium v. NNPC (2011) 9 NWLR Pt. 1252 at 337, Nigerian Army v. Samuel (2013)14 NWLR Pt. 1375 at 466 as authorities on its arguments. The Respondent in reply to the issue raised by the Appellant, argued that the decisions of the Court which the Appellant relied on where reached after the said statement of claim had already being filed and contended that the allegedly defective processes in the suit where filed and settled in 1990, before the decision in Okafor v. Nweke decided in 2007. “I observe that the Appellant made no distinction between substantive jurisdiction and procedural jurisdiction. He also made no distinction between an originating summons and the allegedly defective Statement of Claim. It is important that I make this point from the onset that a defect in procedure is not the same as a defect in competence or jurisdiction. A defect in the former is regarded as a mere irregularity and it can be waived: SAUDE v. ABDULLAHI (1989) 7 SC (Pt. ii) 116. …Whether or not an irregularity renders a process void or merely voidable depends on the type of irregularity. The law is settled, as this Court pointed out in, Brathwaite v. Skye Bank Plc (2013) 5 NWLR Pt. 1346 1, Nigerian Army v. Samuel (2013)14 NWLR Pt. 1375 at 466…; an irregularity affecting an originating process is a fundamental irregularity that goes to the roots. The Statement of Claim, I must point out, is not such an originating process. Jurisdictional defect that renders the adjudication incompetent ultra vires, null and void is the substantive jurisdiction because such jurisdictional issue is extrinsic to the adjudication: MADUKOLU v. NKEMDILIM (1962) 2 SCNLR 341. When want of substantive jurisdiction is raised, the issue is whether the jurisdiction vested statutorily in the court allows it to adjudicate in the matter. That is why it is extrinsic. When, however, the issue is whether a process filed in the course of proceeding or adjudication is an irregular process having not being issued or filed in accordance with the prescribed practice, the issue raised is whether the process can be countenanced, and not whether the court can ordinarily and completely assume jurisdiction and adjudicate in the matter in the first place. In most cases procedural jurisdiction is secondary to the substantive jurisdiction. The distinction between the two lies in the fact while procedural jurisdiction can be waived; substantive jurisdiction cannot be waived. The court concluded that although the Statement of Claim was allegedly not signed by a known legally qualified legal practitioner, the Appellant as defendant, condoned the defective process. They participated in the proceedings and evidence from the Statement of Claim was called after the Statement of Defence joining issues with the defective statement of claim, the trial court gave judgement upon the evidence and even at the court of appeal no issue was made of the alleged defective statement of Claim. The court therefore held the Appellant to have waived its right to object to the defective process. The decision of the Supreme Court in the Heritage Bank’s case without expressly attempting to overrule itself unavoidably deviates in some regards from its position on the above issue, particularly on the implication of signing of a court process other than an originating process by a law firm or person other than a legal practitioner. The position that a Statement of Claim or Court Process signed by a law firm rather than a legal practitioner is “irregular” rather than “incompetent” put forward clearly runs against all earlier authorities on the issue. In Hamzat & Anor v. Sanni & Ors (supra) Galadinma JSC stated without any ambiguity that the statement of claim signed by the law firm in the suit was a “nullity”. A process being a nullity ab-initio cannot receive life by condoning or a waiver as it was dead upon its arrival and is of no legal consequence. Accordingly, all proceedings upon such statement of claim stood on nothing. “Nothing; no proceeding; an act or proceeding in a cause which the op- posite party may treat as though it had not taken place, or which lias absolutely no legal force or effect. Salter v. Hilgen, 40 Wis. 363; Tenness v. Lapeer County Circuit Judge, 42 Mich. 460, 4 N. W. 220; Johnson v. Dines, 61 Md. Quite respectfully, unless the apex court intends to overrule its earlier position, there is a clear difference between its recent decision that a statement of claim signed by a law firm is “irregular” and its earlier decision that same is a “nullity”. One can only favour the view that the subsequent and more recent decision represents an implicit overruling of the earlier position or at best that there is no concurrence of two decisions of the apex court on the question. The decision in Heritage Bank’s Case however appeals to law and logic and is not without legal framework to support the reasoning. The Court of Appeal sitting at Lagos in M.O Moudkas Nigeria Ent. Limited & Anor V. Emiko Israel Obioma (2016) LPELR-40165 (CA) had the cause to determine an exactly similar issue ie. “Whether a statement of Claim signed by a law firm was irregular and therefore curable or incompetent and therefore a nullity ab-initio”. The above decision of the Court of Appeal quite respectfully would have been a decent guide for the Supreme Court in its consideration of the Heritage Bank Case even though the apex court’s decision can be supported by the argument I now canvass below. If we consider the Rules of Court on this issue, with particular focus on the Lagos Rules for illustration, the decision in Heritage Bank’s Case becomes easier to rationalize and appreciate. It is incisive to note that the Rules of court are usually an incorporation of several decided authorities on an issue of procedural law. It is therefore safe to opine that the rules regard the existing decisions of court at the time of its making. (1) Where in beginning or purporting to begin any proceeding there has by reason of anything done or left undone, been a failure to comply with the requirements of these rules, the failure shall nullify the proceedings. (2) Where at any stage in the course of or in connection with any proceedings there has by reason of anything done or left undone been a failure to comply with the requirements as to time, place manner, or form, the failure shall be treated as an irregularity and may not nullify such step taken in the proceedings. The Judge may give any direction as he thinks fit to regularize such steps. The provision of Order 5 quoted above represents the state of the procedural law on the issue and states that any violation done to a process which commences proceedings shall nullify the proceedings. However, if the violation is not of a process which commences proceedings, but one filed after commencement of proceedings then such violation is an irregularity which may not nullify proceedings depending on whether objection to the irregularity is raised timeously or condoned by the adverse party. The basis of this position is that after an action is properly commenced the court assumes substantive jurisdiction. The jurisdiction which then guides proceedings after the court assumes jurisdiction is the procedural jurisdiction which does not nullify the proceedings if it is cured or waived by the party at whose instance it ought to be set it aside for irregularity. What is left therefore is to query whether a “Statement of Claim” is an originating process for assumption of the court’s substantive jurisdiction? On this Order 3 of the Lagos Rules being used illustratively indicates a civil action may be commenced by a writ of summons which shall be accompanied inter alia by a statement of claim. An argument that a statement of claim is an originating process is therefore akin to argument that list of documents in a suit commences an action. This is so because an originating or initiating process is one which commences an action. Therefore, the statement of claim not a process which begins or purports to begin a suit, a defect therein should ordinarily not nullify the proceedings and can should therefore not rob the court of its jurisdiction over the suit in itss entirety. This is the premise and conclusion of the decision of the court in the Heritage Bank Case. 1. Where the originating process itself (ie. The writ of summons, the originating summons or the petition) is not issued or signed by a Litigant or his Legal practitioner whose name appears on the Roll of the Supreme Court, such court process is incompetent, a nullity and the court cannot assume jurisdiction upon same. Therefore, all proceedings borne of such incompetent processes are null and void. 2. Where the defective signature by a law firm is not contained on the originating process but on some other accompanying documents or court processes the authorities are divided on whether the defective signing makes such process irregular or rather renders them a nullity. In any case, the op-posite party is enjoined to object timeously to such defect in any court-process not being an originating process. Where a party does not object timeously but rather joins issues without any objections, his right to subsequently raise the issue may be deemed to have been waived. This dual position shall persist until such time when the supreme Court has opportunity to give a decision on the issue either by overruling its earlier position or clarifying with certainty.